With 14 electric motors turning propellers and all of them integrated into a uniquely-designed wing, NASA will test new propulsion technology using an experimental airplane now designated the X-57 and nicknamed “Maxwell.” NASA Administrator Charles Bolden highlighted the agency’s first X-plane designation in a decade during his keynote speech 17 June 2016 in Washington at the American Institute of Aeronautics and Astronautics (AIAA) annual Aviation and Aeronautics Forum and Exposition, commonly called Aviation 2016. Since the introduction of the legendary X-1 in 1946, scientists have used the X-plane designations to identify experimental aircraft and rockets used to explore new aerospace technologies. In 2016 NASA announced a 10-year plan by NASA Aeronautics to achieve ambitious goals in reducing fuel use, emissions, and noise by the way aircraft are designed, and the way they operate in the air and on the ground. One exciting piece of this 10-year plan is New Aviation Horizons – an ambitious undertaking by NASA to design, build and fly a variety of flight demonstration vehicles, or “X-planes.” The New Aviation Horizons X-planes will typically be about half-scale of a production aircraft, although some may be smaller or larger, and are likely to be piloted. Design-and-build will take several years, with vehicles going to flight starting around 2020 depending on funding. The "Semi-Tandem Electric Distributed Wing Zip Aviation Advanced Concept Project" was renamed to LEAPTech DEP to better align with the content of the work. 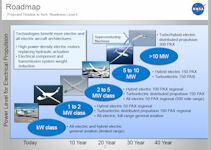 This project aims to develop a unique distributed electric propulsion approach that provides breakthrough capability improvements across conventional take-off and landing, short takeoff and landing, and vertical takeoff and landing aircraft through tight coupling of the propulsion, aerodynamics, control, structure, and acoustics. Electric Propulsion (EP) is a rapidly developing technology frontier that opens up the degrees of freedom for aircraft design/integration. Inherently EP wants to distribute across the airframe due to it's scale-free nature, this lets the thrust be located for optimal drag. Electric motors are highly compact and reliable. The efficiency and power to weight of electric motors/controllers are relatively insensitive to scale (not true for internal combusion or Turbine engines). Distributed EP permits high degrees of coupling between the aerodynamics, propulsion, control, acoustics, and even the structure to enable large multi- disciplinary synergistic benefits. 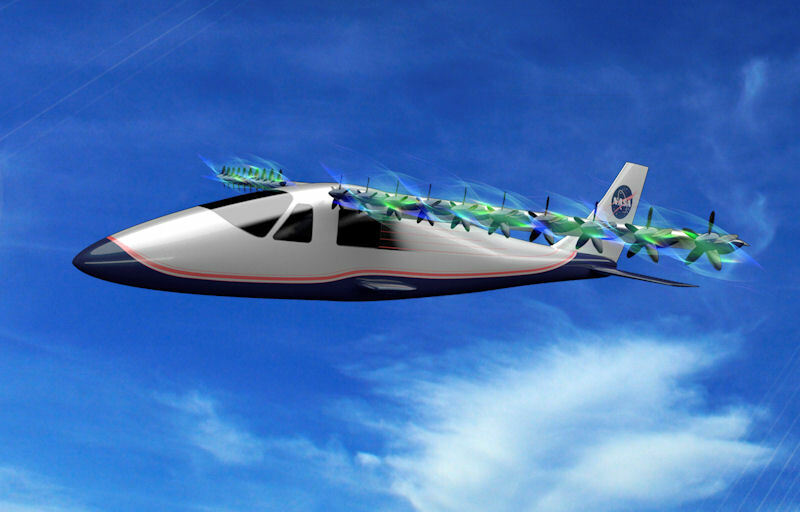 The proposed piloted experimental airplane called Sceptor, is short for the Scalable Convergent Electric Propulsion Technology and Operations Research. The concept involves removing the wing from an Italian-built Tecnam P2006T aircraft and replacing it with an experimental wing integrated with electric motors. 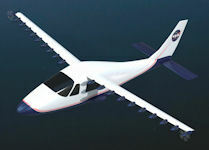 An advantage of modifying an existing aircraft is engineers will be able to compare the performance of the proposed experimental airplane with the original configuration. Capabilities Provided include: ~8x reduction in energy use; ~5x reduction in lifecycle Green House Gas (including fabrication); ~25 dB reduction in community noise; ~12x reduction in energy cost; and 2.5x CLMAX without mechanical complexity Robustness through propulsion pitch/roll/yaw thrust and redundancy. The arrival of a unique experimental demonstrator at NASA Armstrong Flight Research Center on 26 February 2015 may herald a future in which many aircraft are powered by electric motors. The Leading Edge Asynchronous Propeller Technology (LEAPTech) project will test the premise that tighter propulsion-airframe integration, made possible with electric power, will deliver improved efficiency and safety, as well as environmental and economic benefits. Over several months, NASA researchers performed ground testing of a 31-foot-span, carbon composite wing section with 18 electric motors powered by lithium iron phosphate batteries. The experimental wing, called the Hybrid-Electric Integrated Systems Testbed (HEIST), is mounted on a specially modified truck. Testing on the mobile ground rig assembly will provide valuable data and risk reduction applicable to future flight research. Instead of being installed in a wind tunnel, the HEIST wing section will remain attached to load cells on a supporting truss while the vehicle is driven at speeds up to 70 miles per hour across a dry lakebed at Edwards Air Force Base. Preliminary testing, up to 40 mph, took place in January 2015 at Oceano County Airport on California’s Central Coast. LEAPTech’s innovation is using 18 small engines to blow air directly across the wing, to generates lift. The wing can be optimized for cruising speeds instead of takeoff speeds, drastically improving cruise efficiency. Each motor can be operated independently at different speeds for optimized performance. 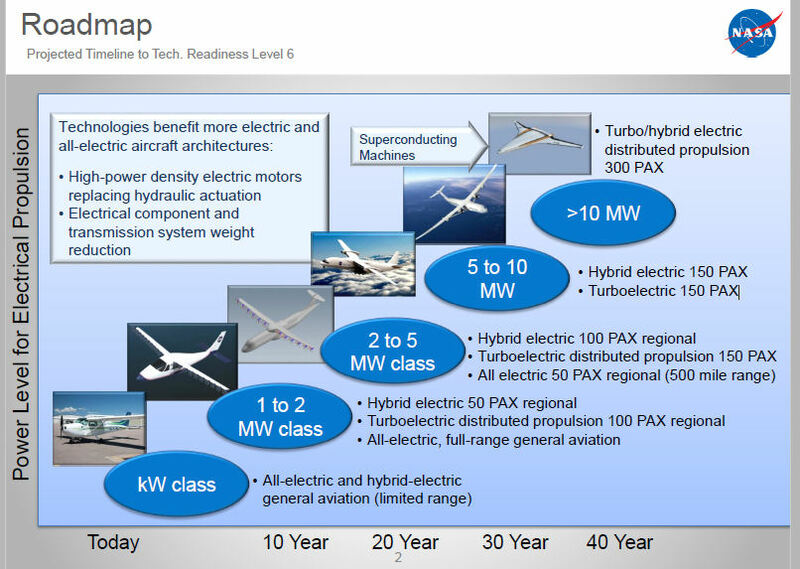 Key potential benefits of LEAPTech include decreased reliance on fossil fuels, improved aircraft performance and ride quality, and aircraft noise reduction. LEAPTech X-Plane should see a boost in fuel economy of about 60%, along with a much better ride and “drastically reduced” noise signature.